Compromise | When Do They Serve The Wine? 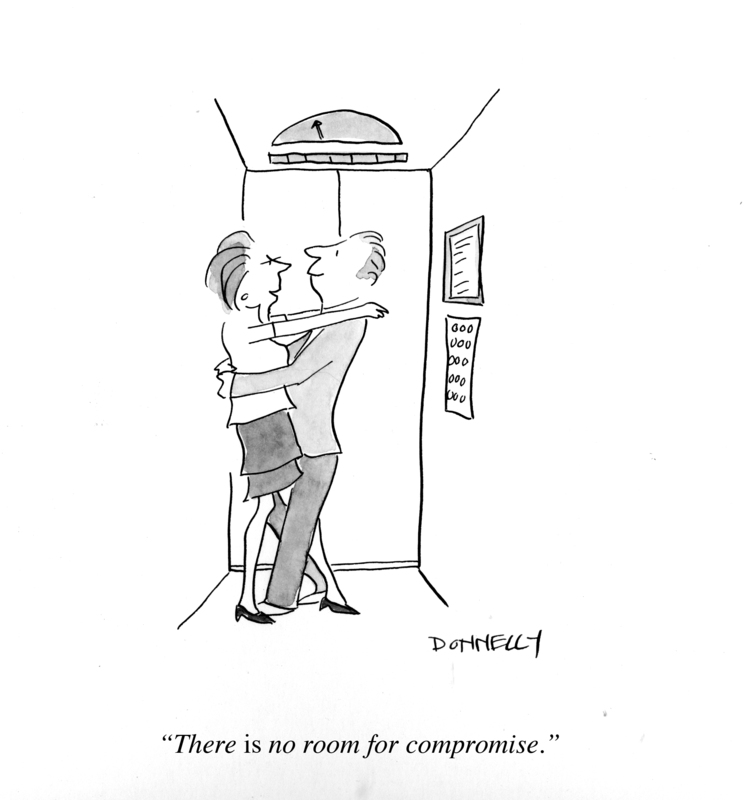 The word “compromise” is in the news a lot today. I did these cartoons a few months ago, based on some other news story. 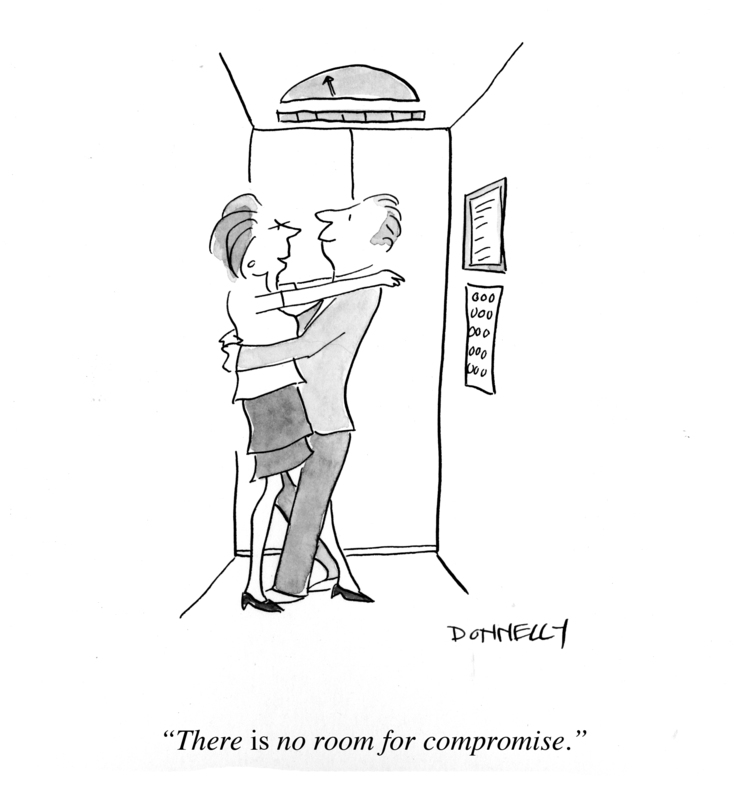 Relationships are all about compromise….and so is politics. Seems to me one party in the negotiations over a possible government shut down is not being a good lover. 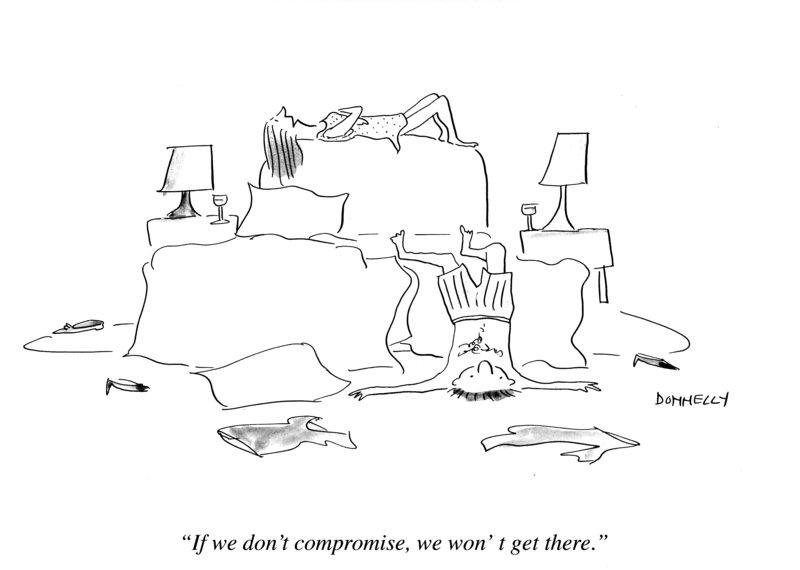 This entry was posted in Random but Relevant and tagged compromise, Politics, relationships. Bookmark the permalink.